The name rolls off the tongue with such a melodious ring, it cannot help but be explored. Inspired by France's vibrant, artistic legacy--this bottle of rosé is a sensorial masterpiece. Beautifully blush with lively notes of raspberry and wild strawberry, each glass is a winemaking work of art sure to inspire all who savor it. Santé! Indulge yourself in the art of wine. Influenced by the boundless beauty of French artistry – D'Orsay Rosé is awe-inspiring. 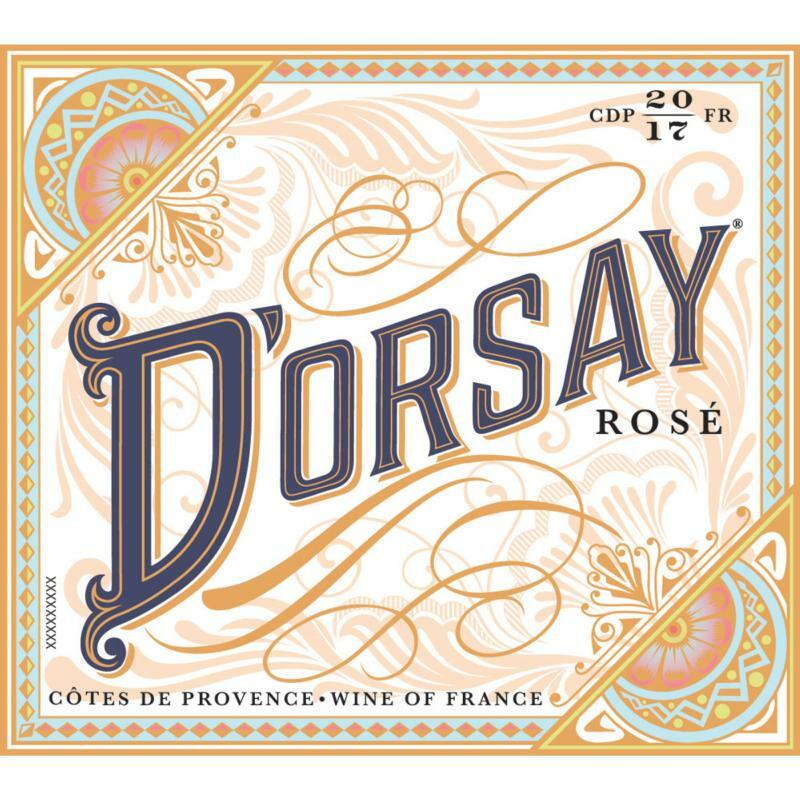 Côtes de Provence is home to an abundance of sunshine and a cool Mediterranean climate providing D'Orsay Rosé with the perfect canvas. Fragrant wildflowers bloom freely in the bountiful Provençal vineyards adding expressive notes of delicate florals to each and every glass.